Two legendary Pokemon were made public during the Pokemon Go Fest in Chicago. The event was overrun by a few technical problems. Recently, the "Pokemon Go" festival was held in the Grant Park in Chicago, Illinois, where two legendary Pokemon were unveiled. 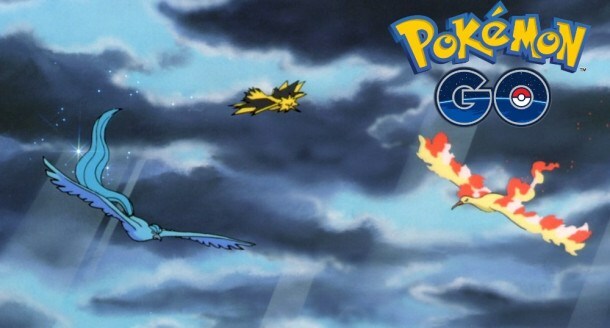 With Lugia and Articuno two legendary fantasies are added to the portfolio. Through a challenge, where a certain number of Pokemon had to be caught over the day Lugia could be released. Despite the technical problems that affected the sold out party. Thus the players could not connect with the game over long distances. Added queues, which provided for waiting times of up to three hours. As compensation, all participants receive their money back, as compensation donated by the developer Niantic to boot one hundred US dollars in the in-game currency. In addition, the Lugia Pokemon is now being given to everyone due to the problems, and the creature will be available worldwide within 48 hours. Also included is Articuno, because the team Mystic in the internal competition could get through. When Articunos will be available, however, is not yet known. The global rewards unlocked during Pokemon GO Fest have been extended 72 hours. Now ends at 5:00PM PDT on July 27!